What a year! 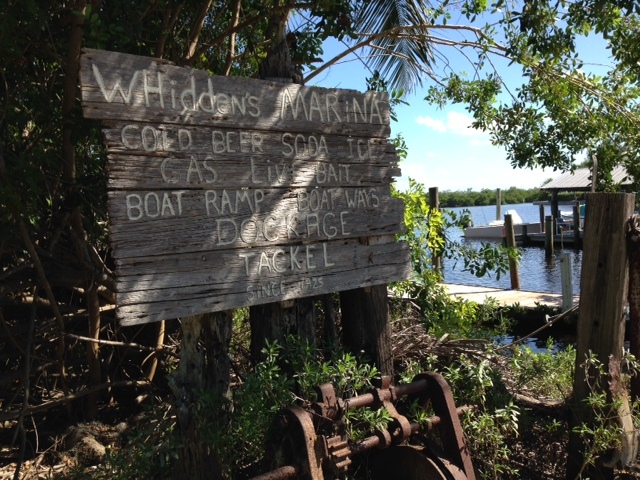 We started at Crystal River State Park, and ended in the Keys! We got to see everything from underground rivers, to pristine beaches, to old Florida Marshes, to Civil War Battlefields! I never thought I could catch the variety of fish, and the numbers of fish by walking the shores, and using only artificial lures! I like most, normally fish out of boat, when I fish. I have a Triton bass boat which is my normal mode of fishing transportation. When Sharon and I decided to do this, my thought was, Gee… I hope I don’t make a fool out of myself and have nothing to show but a bluegill or two! To start this off, I had to set a few ground rules. Not all parks had fishing, so I had to eliminate those, which was far less than half. We also did not go to parks that were only accessible by private boat. Some parks offered transportation to islands, like Honeymoon Island. I was only going to use artificial lures, and I was only going to wade or walk the banks. (as you will see I did break this one time with a Kayak) Since Sharon was painting at each park, I limited my time to about 2 hours per park to make things consistent. So here are the numbers! I fished in 77 parks from Pensacola to the Keys. The most shocking numbers to me where the variety of fish. I caught 16 different varieties of fish! I had to look some up, and some I am not totally sure of today…. The most unusual had to be a Puffer fish caught at Stump Pass. The largest fish was a beautiful redfish that I caught at Lovers Key. Sharon wasn’t close by, so I had to do the best I could with my cell phone camera. The total number of fish caught was 123 with bass leading the way with 26. That wasn’t surprising since I was only fishing artificials, and many of the parks were freshwater. 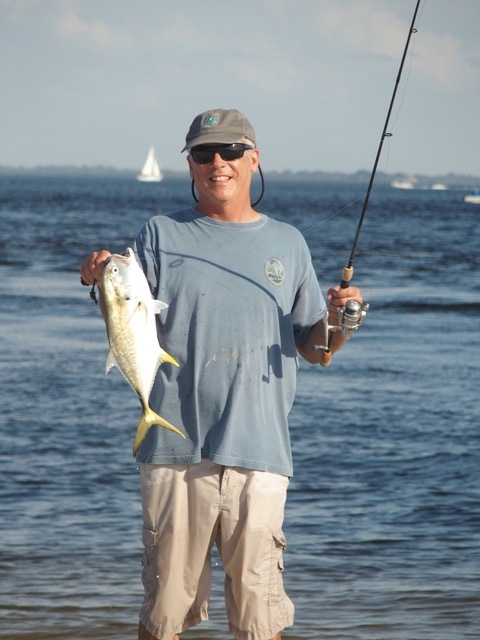 Of the big 3 game fish for saltwater; Trout, Redfish, and Snook, Snook was the highest with 10. I was surprised trout was as low as it was (8), but I just never got into a big school, except one time on Big Talbot. I had a hook up problem there, and only managed 2, after hooking about a dozen! What other kinds of fish did I catch you might ask? 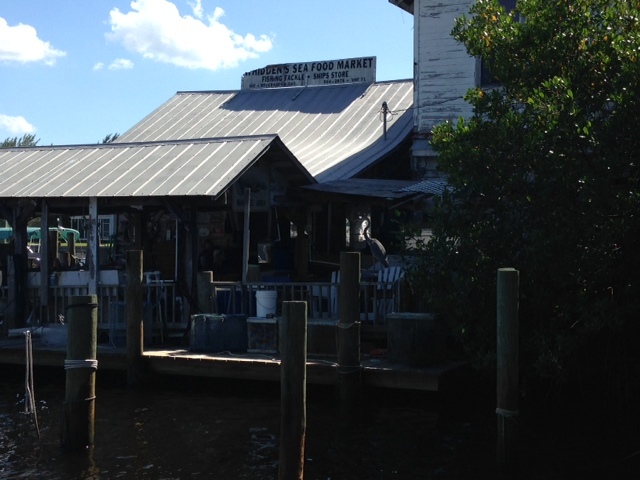 Well, here is a run down of all of them: Redfish, Snook, Trout, Snapper, Ladyfish, Jacks, Whiting, Bass, Bream, Flounder, Tilapia, Saltwater Catfish, Gar, Barracuda, Mudfish, and the Puffer……. What park was my favorite you may ask? I love to wade in the saltwater, so my favorite park was St Joe up in the panhandle. There is a huge flat to wade, loaded with eel grass which makes it perfect for wading and target fishing. I had several opportunities for reds, and only landed one but had some real zingers hooked up! Breaking down the lure choices, I tried to keep it simple and only carry what was necessary. I have a favorite saltwater lure called the L-Minnow by Yo-zuri. It catches everything, so you will see me using that the majority of the time. I also kept it simple for bass fishing with a trick worm and a fluke most of the time. I could cover all depths from top to bottom with those two lures. 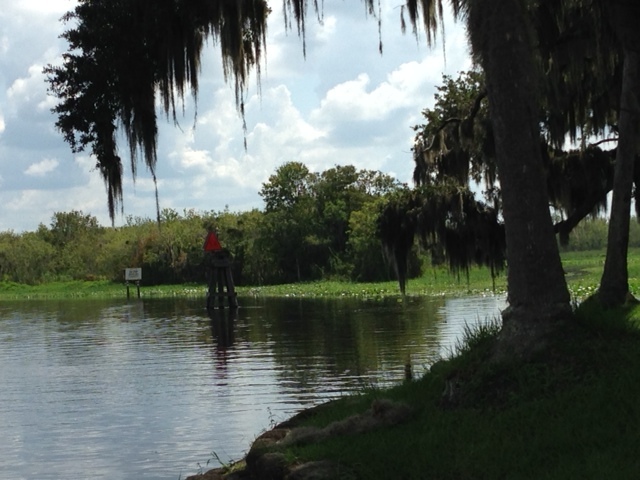 To sum it all up, Florida State parks offer some fantastic fishing, and you will not be disappointed! Give it a shot! Have a great Christmas and New Year, and I will see you on the water! This entry was posted in Uncategorized on December 25, 2015 by shurstrike. The Florida State park fishing tour came to an end with our trip to the keys on Thanksgiving week. The wind was not cooperative, as it blew 25-35 mph every day all day through the week. We did have an enjoyable time staying in Islamorada and Key West. The parks we visited were John Pennekamp, Curry Hammock, Long Key, Bahia Honda, and Fort Zachary. All had plenty of area to fish, and I recommend all of them whether you like to wade or Kayak. John Pennekamp is in Key Largo, and we decided to take out a Kayak even with the 25 plus mph wind. They have a mangrove trail so it was very manageable, as long as we stayed in the trail and did not venture into the gulf. The Barracuda were biting and I caught the largest one of the trip that was nearly 23 inches. I caught 3 and had a few others that either broke my line or jumped off. I did mange to catch a small Jack as well. I quickly noticed that in all parks in the Keys, that the redfish, trout, and snook were going to be hard to find, especially with the aggressive barracuda. After talking to a guide, most of the traditional in-shore fish I am accustomed to, were not going to be found. I would have to settle for what was biting on artificial lures, which was the rule I set for myself before starting the tour. The next park was Curry Hammock in between Marathon and Islamorada. The action here was by far the best. It has a cut and a grass flat to fish. I started in the cut, and starting slamming Jacks and the more slender fish pictured here. They were easy to trick with the Yozuri L Minnow, which as you know by now is my lure of choice. I also caught several Barracuda, including this nice one. The third park we attended was Long Key. Tide was low, so I had to wade out several hundred yards into the grass flat. I watched a shark swim right in front of me, which showed no interest which made me happy. I caught a Jack and a Cuda, and had several other bites and a few that jumped off. I was hoping to catch a bonefish and tried a jig for awhile, but to no avail. The jacks were biting at the cut that goes into the park. I caught one after another, for a total of 8 before I moved to a different location to fish. I wanted to fish a small bridge with a cut from the gulf near the east side. However, the cut had no parking area, and I had to park about a quarter mile away. I waded and walked through the surf, and finally made it to the cut. It was a super low tide and there was basically no water to fish when I arrived……. Bad timing…. but I did manage to catch this little mangrove snapper under the bridge that ahd about a foot and half of water under it! The last park we attended was Fort Zachary. Sharon and I took pictures of the fort and I highly suggest walking the inside of the fort for some history lessons. I talked to an FWC officer that was on hand at the park, and he gave me a tip to try a larger size minnow/jerk bait lure as Amber Jacks ran along the rocky seawall. After about 3 casts, I hooked one that pulled so hard I could not stop it! It pulled me through the rocks, and as luck would have it, my line broke. That would have been a nice one…… I had another Amber Jack on later, and it pulled straight out of the rocks and out of danger. However, my hooks failed and he just pulled off during the fight. Here is a look at the area I fished close to port for the cruise ships. Check out Iggy enjoying the rocks! Stay tuned, as I will evaluate the year with total catches broken down by type of fish, and a synopsis of the year, in my next blog. 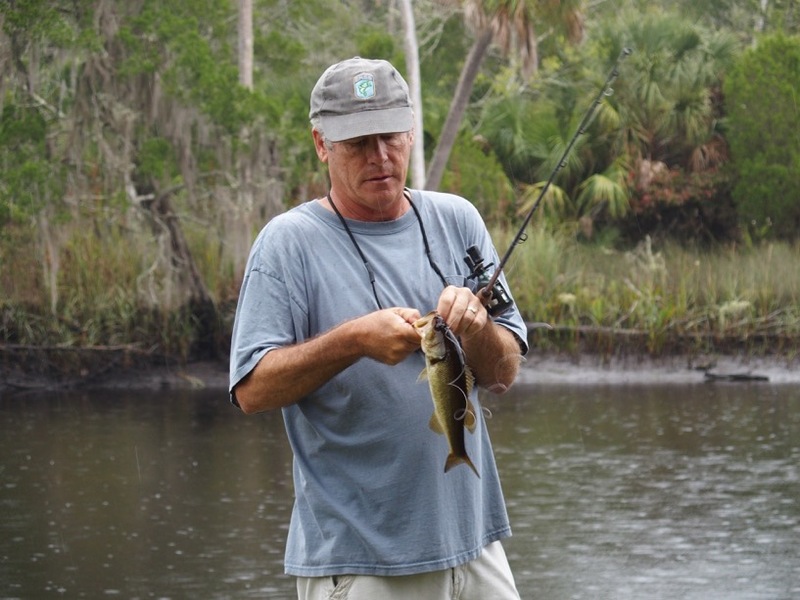 I think it will change your mind about fishing in the Florida State Parks. What a year! This entry was posted in Uncategorized on November 30, 2015 by shurstrike. I was really looking forward to this park after my neighbor told me about a long lost cousin that had an old marina on Boca Grande. He said that the marina is a step back in time, and he was not kidding about that! Sharon and I had never been to Boca Grande, so we were excited to take an overnight to see this park and part of Florida. 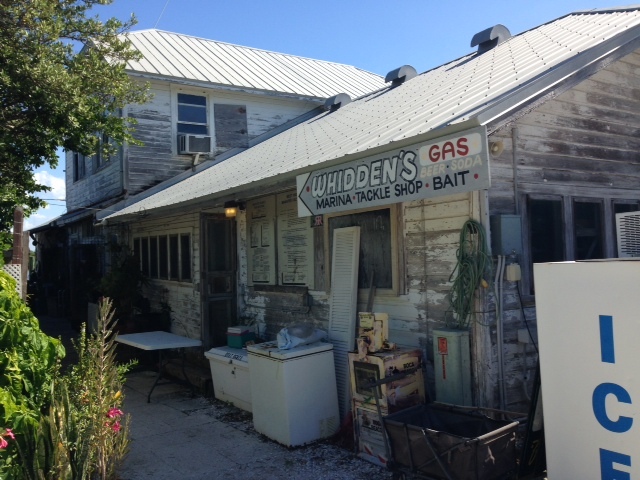 Whidden’s Marina was everything my neighbor said and more with a laid back lifestyle amongst the condos and million dollar house of Boca Grande! After viewing the marina, we headed over to the state park which is at end of the island and preserves the iconic pass where tarpon rule. Remnants of the storied pass of Boca Grande remain with the old lighthouse well preserved, and some of the old oil tanks where the shipping docks used to pick of phosphate mined in the area in the 20’s. The point with the tanks seemed to be the best place to start, since the tide was whipping around the point. I fished for an hour with out a bite, so I decided to move to the sandy beach area on the other side of the point. 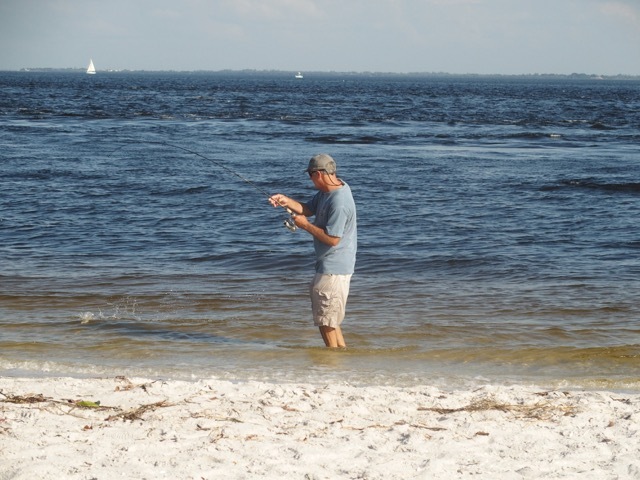 I found some bait fish in the surf and decided to fish there with the Yo-zuri L Minnow. It worked, as I caught this nice 4 pound Jack Crevalle, along with another Jack and two lady fish in the last hour. The larger Jack put up a nice fight on the light spinning tackle I use, and made for decent fishing trip. Sharon finished up a nice painting of the lighthouse which capped off a great day at Boca Grande. The next morning, we decided to stop at the public fishing pier on our way to the next park. The pier is the old railway that moved the phosphate to the shipping port at the end of the island at the park. There is a bridge that goes over an inlet at the end of the pier, and the tide was moving out briskly. 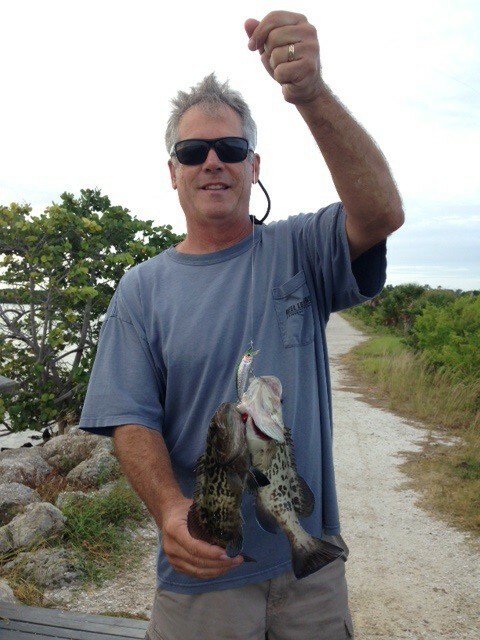 I casted the Yo-zuri near a rocky point and caught this unusual “grouper-two-fer” What a nice way to end our trip at Boca Grande! This entry was posted in Uncategorized on November 5, 2015 by shurstrike. 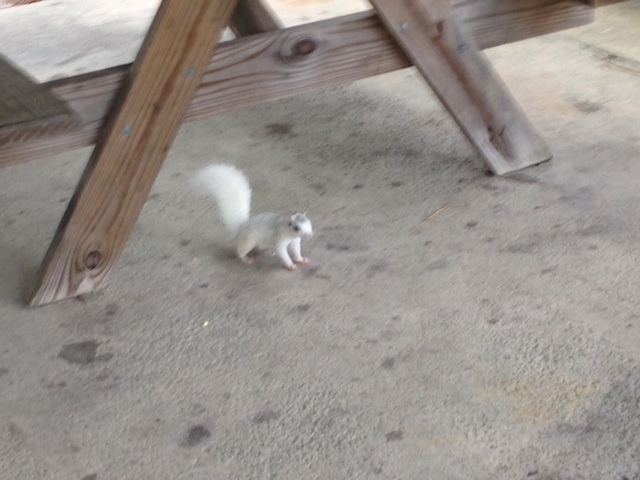 White Squirrels! 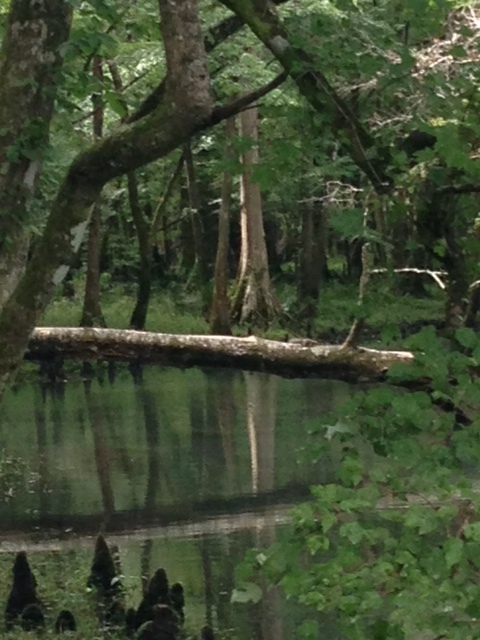 The Ochlockonee River State Park south of Tallahassee, has a few friends waiting for you! Yes, the white squirrels are quote tame and will try to bum a potato chip or two from you. The park has a nice dock and some walk down area that you can fish from. The rain was coming down for the entire time we were there, so it was needless to say, a little slow at the park. if fact, we were the only visitors for the 2 1/2 hours we were there! The tide was moving pretty well, so I thought I would do well off the dock. I tried to fish for the saltwater predators first, but nothing was biting. I switched to bass gear, and that didn’t produce any bites either. The only thing that was biting were the squirrels as you can see by the picture. The Econfina River park was also not very crowded. Only a few cars drove in, mostly to as how the fishing was. I talked to the park ranger and he said fishing was good for catfish right now, and reds and trout did not move in until next month. I asked him about the bass, and he said yes, they are doing pretty well. The tide was moving out and it was close to low tide. I tried the trick work on a shaky head since the bottom was hard shells and rocks. I picked up a 12″ bass right off the bat. 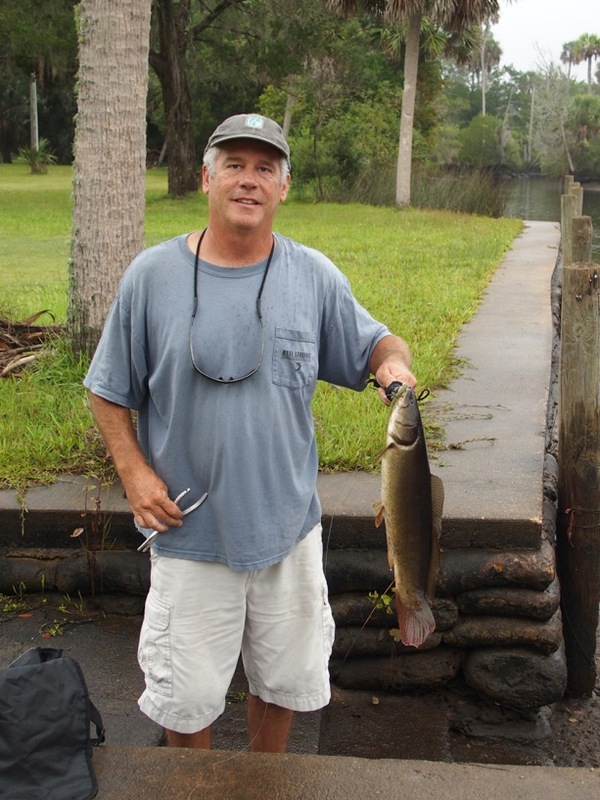 I caught another one, and then landed a nice bowfin or mudfish around 4 pounds. According to the locals that stopped by, you can have 30-50 fish days kayaking down the river in the late spring to summer months. A great place to fish that is not crowded, so take it in if you have the chance. This entry was posted in Uncategorized on October 8, 2015 by shurstrike. 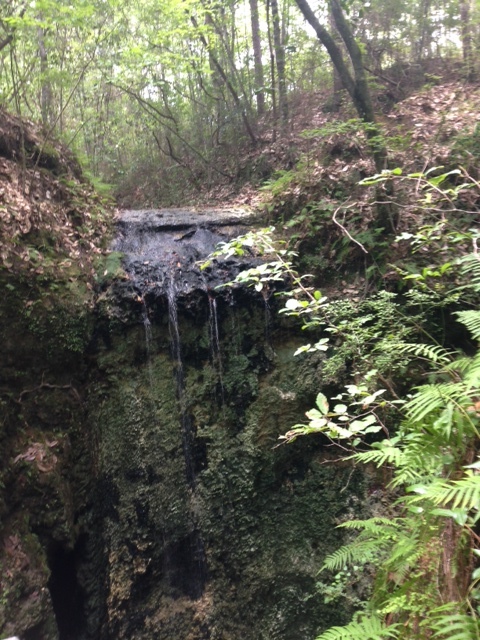 South of Tallahassee, off the beaten patch, is a secluded park called Natural Bridge. At the north end of the park is an underground river, and where it come up is a great fishing spot. In the tannic stained water I saw many bass swimming and a few bream. Most were skittish, and I could not get them to look at a lure. I did catch a few on a watermelon trick work around 12″ long. I did get another one to come look at a vintage Creek Chub darter, but it never struck. It followed it for about a few yards, and gave up. The next Park that we stopped at was Bald Point. 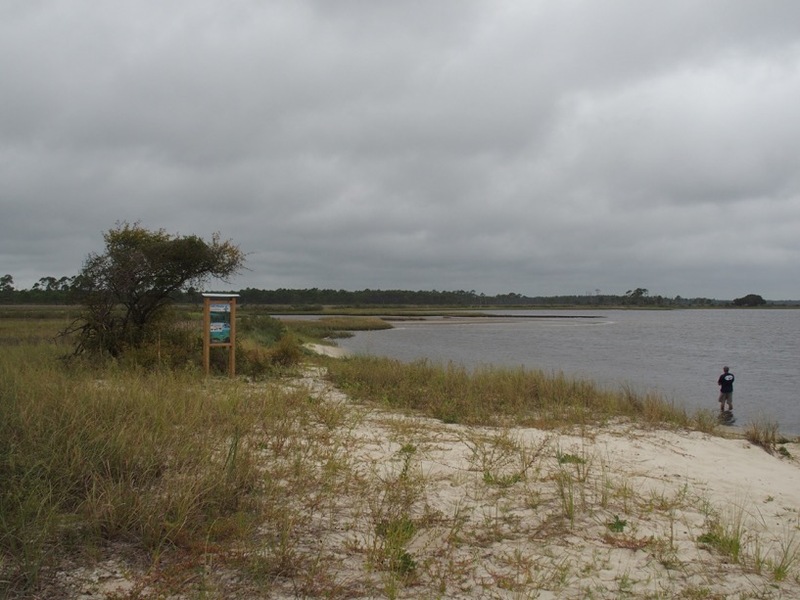 It is exactly that, a point that extends out into the gulf where the Ochlockonee River enters the gulf. This was a very interesting place to fish since I could wade or fish off the dock. There is a nice eddy that forms around the dock near the bank, and is a great place to fish. I was able to catch a flounder and a nice trout on my Yozuri jerk bait. I had few other bites, and had a real nice flounder break my line and cost me a lure! This entry was posted in Uncategorized on October 7, 2015 by shurstrike. 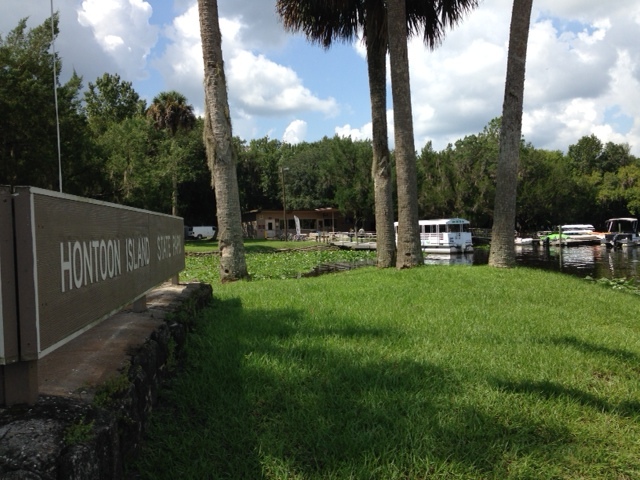 Hontoon Island is on the St. Johns River near Deland. The park has a pontoon boat that takes you from land to the park for free! The island is fairly large, and has hiking and bike trails, and a store where you can get food and supplies. You can also rent canoes or kayaks at the store. There is a large dock to fish off of, and a seawall where most of the fisherman stake a claim. Along the seawall the current or tide is usually moving, so fishing can be good. I started at the point on the seawall and worked towards a few other fisherman that had already staked a claim. Since the water was moving, I tried a shaky head lure and floated it with the current over some rocks that were in the water along the seawall. I didn’t get any bites, so I went over to large dock and tried fishing some of the lily pads and vegetation with a senko and fluke. It must have been the wrong day, as I never had a bite. The bank I was fishing leads to the mouth of Lake Beresford, which is a very nice area for bass. I highly recommend a trip to Hontoon Island State Park, whether it is to fish, kayak, or just to relax, it is a great way to spend the day. This entry was posted in Uncategorized on September 4, 2015 by shurstrike. Sharon and I took a long weekend over the 4th of July, and visited several of the state parks in the Panhandle from Marianna to Tallahassee. The weather was hot, but we did avoid the rain, except for one park….. details later. It was surprising that only a few parks were crowded. We started west and worked east. The parks we visited were Falling Waters, Florida Caverns, Ponce De Leon, Torrea, 3 Rivers, Lake Talquin, Lake Jackson, and Maclay Gardens. 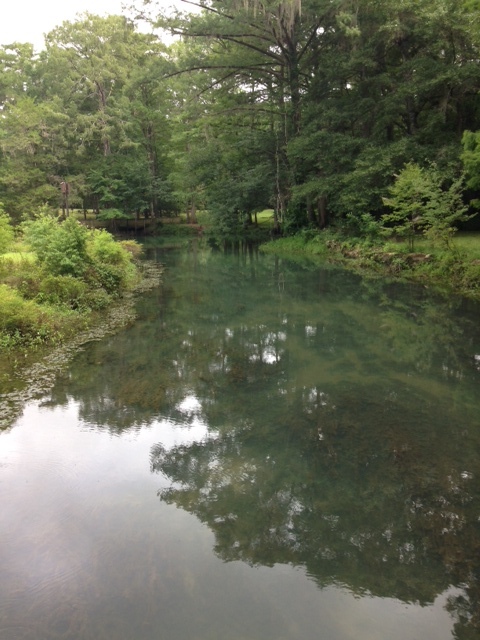 Ponce Deleon had a trail that led to the spring run creek and Sandy Creek. I fished both and had a few bites on the shaky head worm, but could not convert. It was interesting to see the water line where the spring creek meets Sandy creek. Water goes from clear to dingy, and a drop off of 3 feet. This seemed like the perfect spot with the moving water, and is where I had my bites, but none were hooked up. Falling Waters had a small pond off the run from the spring area. It had a platform out in the water that I could cast to from the dock. I had a nice bass take a swipe at my fluke, but I missed him on the hook set. I could see the bass in the clear water strike, so I think I set up to early in anticipation. Florida Caverns had a creek run from the Blue Hole which is a super clear spring area where people can swim. I had the entire run to myself, and had several bites on a trick work and fluke but never got one in. The water was so clear, I could see several nice bass swimming along the creek. 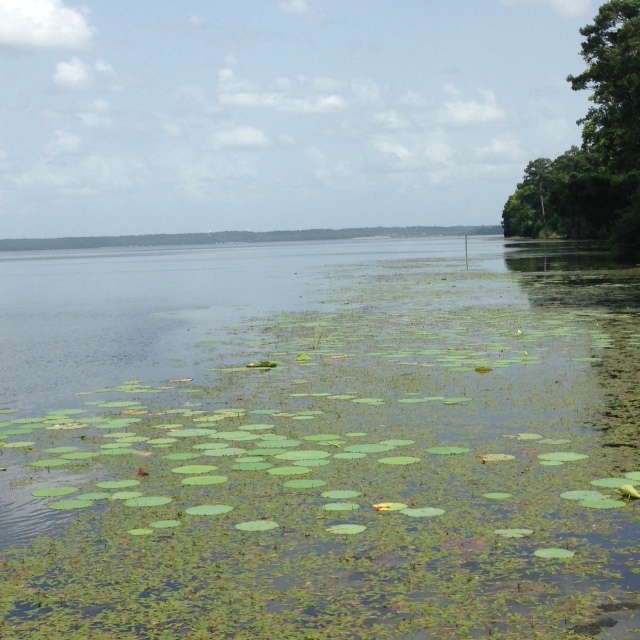 Three Rivers State Park is on lake Seminole one of the premier bass lakes in the country. The park only has a small boat ramp and dock. 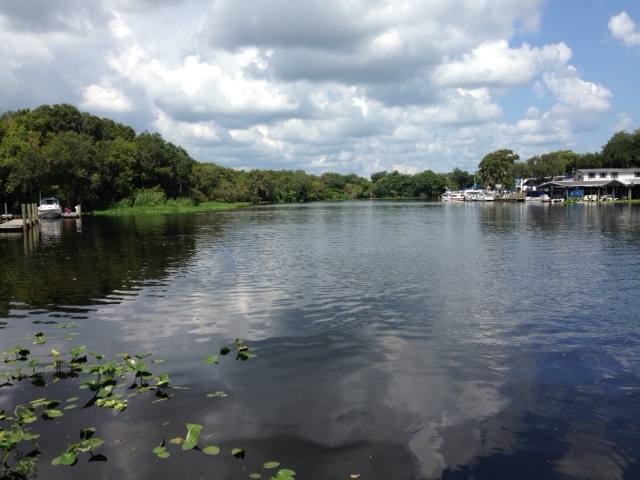 It is referred to as 3 Rivers, since it is where the Flint, Caloosahatchee, and the Apalachicola meet. I had a bass hit a frog on top of the grass that I could fish from the dock, but lost him in the pads. I understand the creek that runs along the camping area is a nice area to fish form shore, but we could not get in that area without a camping pass. 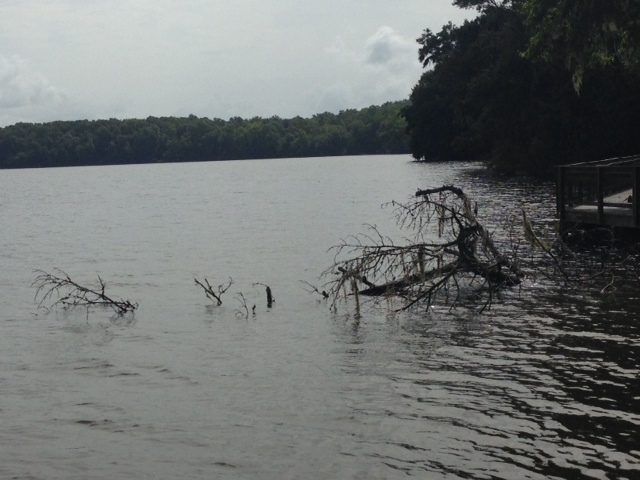 Torreya is an interesting out of the way park, but has no fishing. 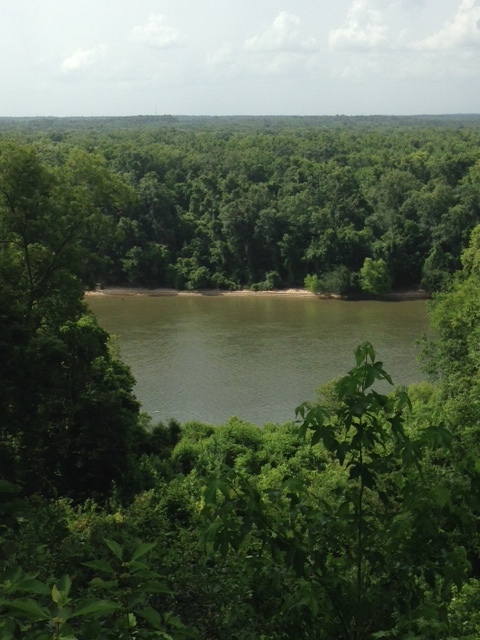 It sits way up on a hill overlooking the Apalachicola River. An old house is located there that was present during the Civil War. 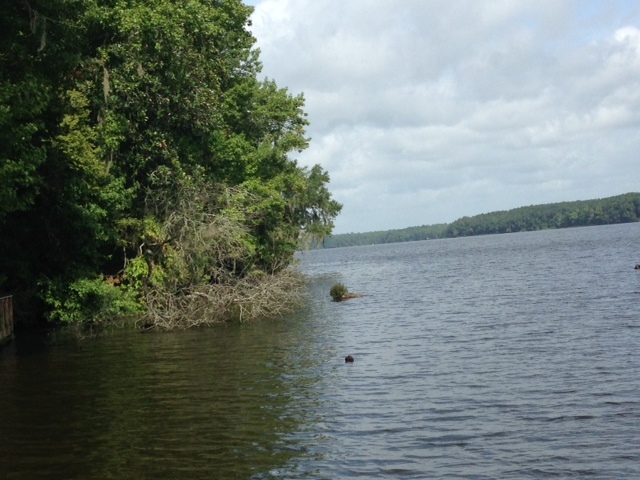 Lake Talquin State Park has a nice dock that runs parallel to the shore. It covers about 250 yards or more. Their is also a nice dock that sits in a cove to fish from. I had a few bites, but was not able to get a hook on anything. Maclay Gardens is a beautifully kept garden with an old house. We got caught in a thunderstorm and had to scurry up to the house and sit out the storm on the front porch. Lightning was all around us, and it was a little unnerving….. I was able to fish the lake after the storm, but it was overcrowded with 4th of July guests. I had a few bites and did manage to catch a small bass. One of the kids on the dock (around 7 years old) was intrigued by my catch, and wanted to see the bass up close. I tried to get him to hold it, but he was afraid….. When I threw it back in, the bass jumped, and the boy jumped back on the dock like it was Jaws……. This entry was posted in Uncategorized on July 24, 2015 by shurstrike. Frank Dracman on The Wrap Up…..